If you’re a fan of street art, there is a great new app called My Paris Street Art (App store and Google Play) . Made by Lartefact and sponsored by the city of Paris. 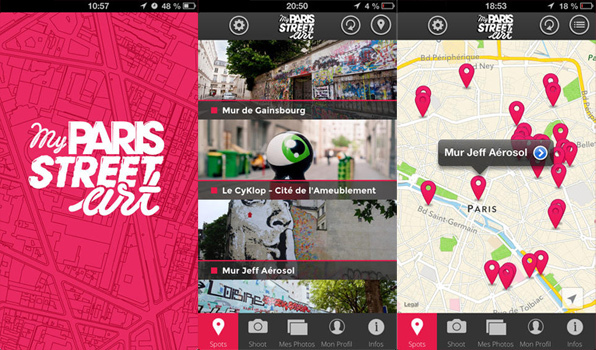 It’s an interactive app that allows users to discover more than 100 works in Paris and share photographs of street art. The app works really easy. Like google maps you are presented with a map of Paris and depending on where you are it will show you where the art work is. And as a user you can add work to make the map complete, leave a comment that an art work is not found at the given location or even specify that the graffiti is offensive. One of the favorite sites to visit now is ‘Tour 13‘. A big building which holds art works from more than 105 artists in 36 apartments. Coordinated by gallerist Mehdi Ben Cheikh. You have to be quick if you want to visit the building before its destruction end of October. Most street art is still illegal, so the art that is shown in the map are the ones that are legal. 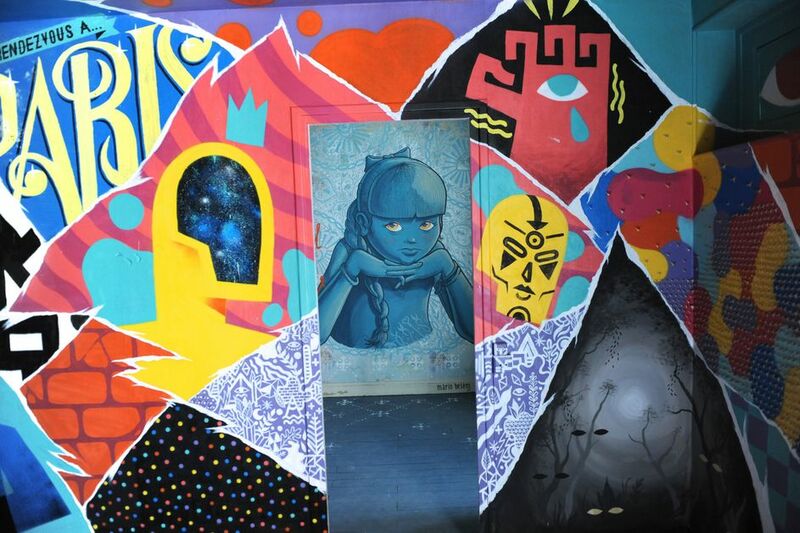 Therefore the app, besides being a great tourism tool, maybe gives the city of Paris more control over the street art and an overview of where the newest work is. Nevertheless it is a great way to discover beautiful graffiti and new amazing artists. Don’t forget that people like Banksy started like this and make big bucks with their work. Another good example is Alexöne Dizac. A well known street artist whose work on paper and canvas is in high demand. Here some names of great street artists: C215, Shuck2, BToy, Lek, Sowat, Cope2, Alëxone, Katre, Marko93, Jonone, Vhil, Miss Tic, Jef Aérosol, Cyklop, JR, Jana & JS and Invader. The application also works for the cities around Paris such as, Bagnolet, Montreuil, Evry and Vitry. Have fun discovering art work in the streets of Paris!